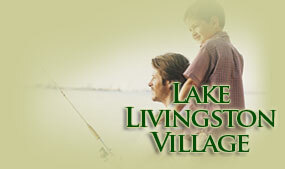 The official site of the Lake Livingston Village Property Owner’s Association. The Lake Livingston Village POA office is located at 167 Lexington Street, Livingston, Texas 77351. The POA office hours are Monday - Friday 8:00 am - 4:00 pm & Saturdays (summer only) 8:00 am - 12:00 noon. You may reach us by telephone at (936) 566-4272. Lake Livingston Village is a beautifully wooded subdivision located in the heart of Polk County, Texas. We are approximately 1 ½ hours north of Houston, nestled in the Piney Woods of East Texas. You will discover a variety of neighborhoods located within LLV, each reflecting a distinctive lifestyle and price consideration. Single family homes, cabins, mobile homes, RVs, tent camping are distributed throughout the 14 sections. Lake Livingston Village offers many amenities to its property owners, including a boat ramp, putt putt course, pavilions, RV park, cabins, swimming pools and picnic areas. LLV’s boat ramp offers convenient access to Lake Livingston as well as an outstanding fishing pier and picnic area for the family. Our pavilions and other amenities are for use only by property owners and their guests. Pavilions may be rented for birthday parties, wedding and reunions. We are very proud of our community and strive to make it a wonderful place for all property owners to enjoy. All property owners are encouraged to become involved and attend board meetings. *Note* Any properties for sale are strictly for sale by owner. No sales are done through the POA office. NOTICE: ALL CONSTRUCTION WORK AND DUMP TRUCKS ARE LIMITED TO 20,000 LBS WITH SINGLE AXLE.